The entire Kapoor clan including Karisma Kapoor, father Randhir Kapoor, mother Babita Kapoor, Kunal Kemmu and Soha Ali Khan, along with close friends Rannvijay Singha and wife Prianka, Amrita Arora and the baby gang Laksshya Kapoor, Kainaat Singha and Inaaya Naumi Kemmu were seen arriving at the party venue. 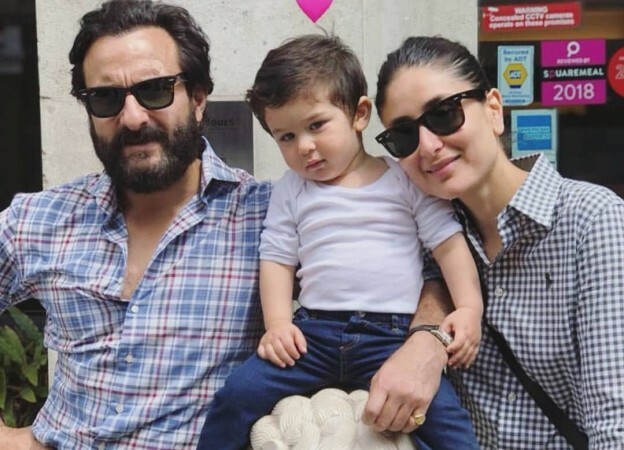 Saif Ali Khan and Kareena Kapoor's son Taimur will turn 2 on December 20 but the Kapoor family has already slipped into celebratory mood by hosting a grand birthday bash for their family members and close friends in Mumbai on December 7. And adding to the surprises in the store, papa Saif and momma Kareena have gifted their little prince Taimur a brand new Mclaren P1 on his second birthday. And before you keel over in shock, let us inform you that Taimur's new Mclaren P1 is a remote controlled car which can be operated by people around or by the baby with the help of steering wheel and pedal.